My iPhone 7 stuck in recovery mode, who can help? It is exciting to have a sleek phone that has high-end features such as iPhone 7. However, when a disaster strikes such as iPhone entering recovery mode, you may feel like throwing it. 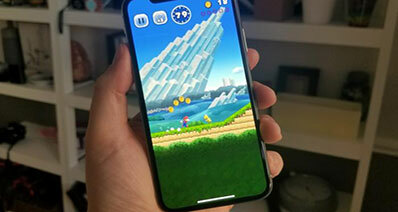 Your iPhone may get in recovery mode when you are trying to jailbreak it or if there is an faulty or app on your iPhone. The beauty is you can be able to fix your iPhone and restore back to normalcy. The best and effective way to get IOS device out of recovery mode is using a software that is built with Fix iOS System feature. In the next part we will introduce you to the best software to download and give you a clear guide on how to use it. iSkysoft Toolbox - iOS System Recovery is one of the outstanding softwares, that is built to fix irresponsive iOS devices. 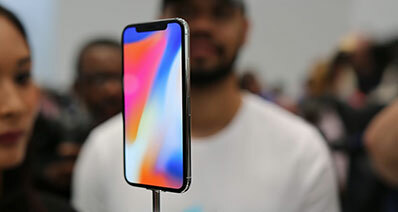 It has a feature known as Fix iOS system which restores iOS (iOS 10.3 supported) devices out of recovery mode, black screen, red screen of death Apple logo and white screen of death. As you fix your iOS, this device will also upgrade the iOS version of your iDvice to the latest one. It is also worth mentioning that this feature also restores the jailbroken devices to non-jailbroken state. Above all, using this software does not result to any data loss. 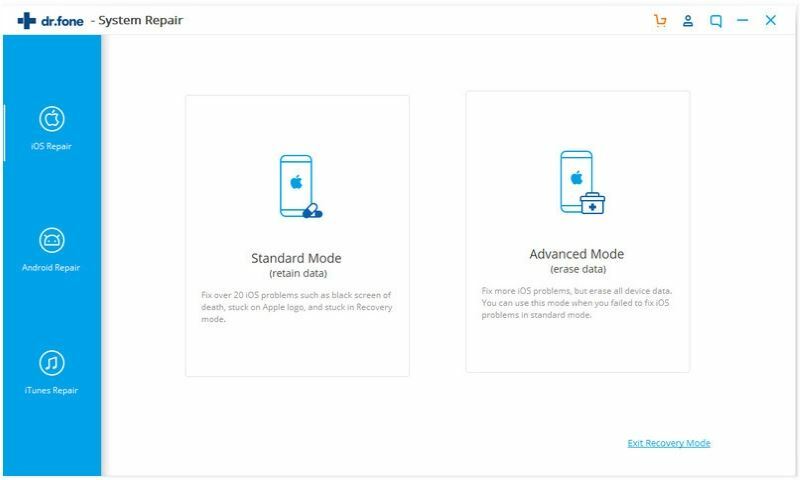 It is a powerful software that allows you to fix iPhone 7 issues like stuck in recovery mode/white Apple logo/DFU mode/frozen status. It allows you to fix iOS devices problems without data loss. It supports iPhones, iPads and iPods running iOS 10.3. First visit iSkysoft official website and download iSkysoft Toolbox - iOS System Recovery for your Mac or Windows. Install this software and open it before going through the followings steps. On the home interface of the program, navigate the cursor to the lower left and click on "System Recovery". Next, take a USB cable that you bought with your iPhone and use it to link iPhone and Mac computer. After that click on "Start" button once your iPhone is detected. The next thing is to download a firmware for your iPhone. This software is smart enough to know which firmware is compatible with your iPhone and it will display it on the program window. All you have to do is to click on the "Download" button. Now wait until the firmware is fully downloaded. When the firmware has been downloaded, the program will begin fixing your iPhone. 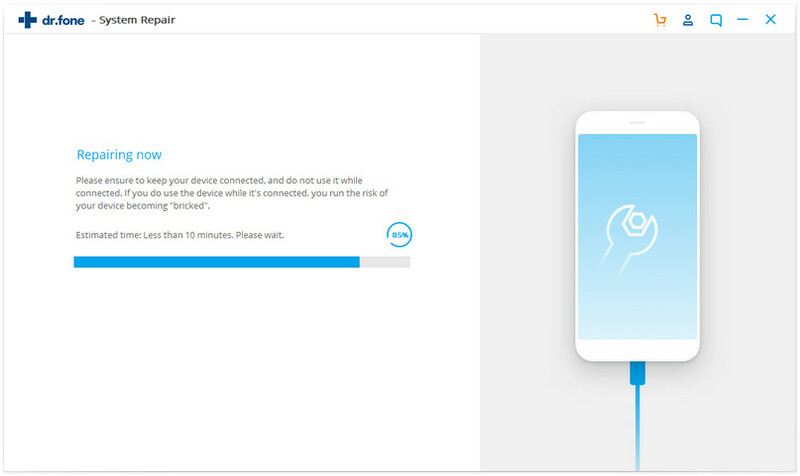 Just wait and do not disconnect your iPhone until the progress is complete. When it has been repaired ,the program will notify you on the screen. You now have your iPhone restored back to normalcy and you are good to go. iSkysoft Toolbox - iOS System Recovery is that tool that you should have it on your Mac and windows since it will help you keep iPhone 7 safe and work. 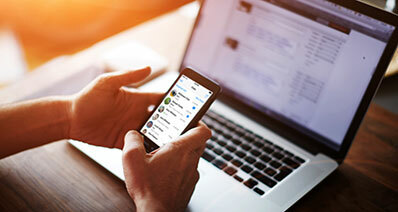 Moreover, this tool allows you to fix and repair iPhone, iPad or iPod that are stuck in recovery mode.